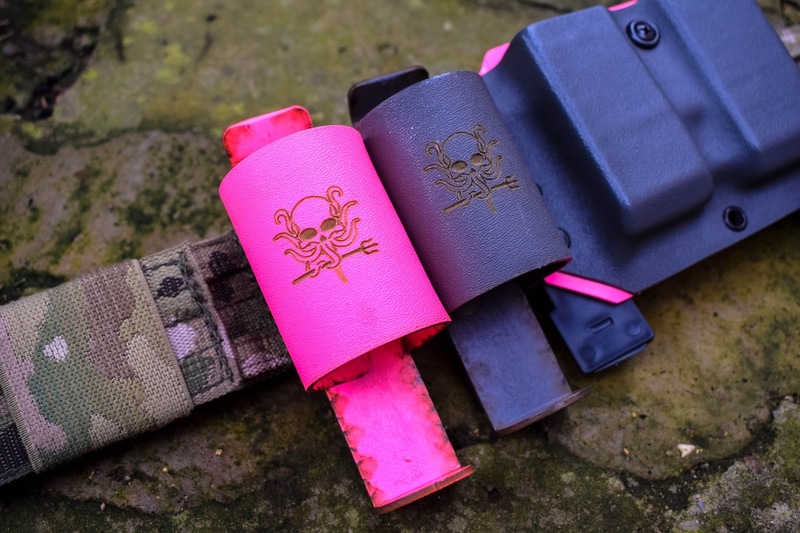 This post is all about my current TRMR holster – the Mile Gear V1 Kraken Kydex TRMR carrier from JD Airsoft. 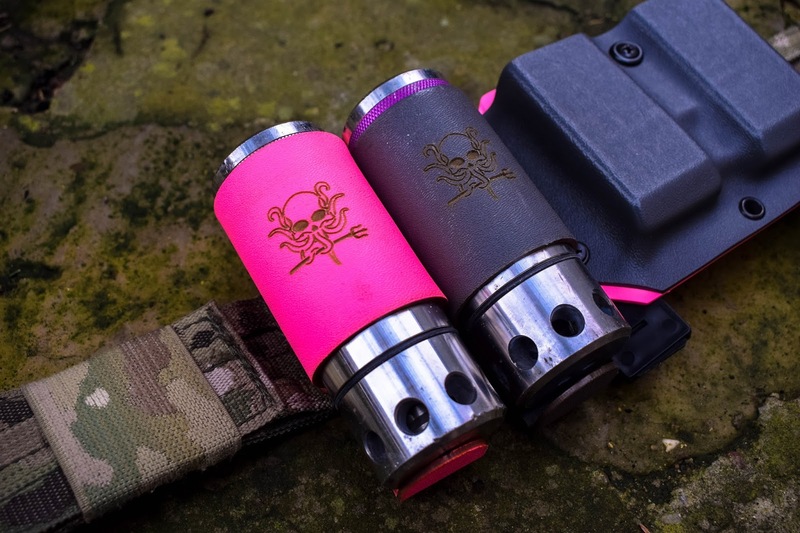 If you’ve been a follower of FFA from the start you will know that I’ve had at least one of every generation of TRMR, the Tactical Reloadable Maritime Ready blank firing grenade, all in pink of course by Concept Tactical, of which you can read my review here. With this, I’ve tried a range of different carrying systems and holsters from 3D printed carrying systems like the TRMR HLDR by FUS3 Customworks, to regular pouches such as the Grey Ghost Gear 40mm in MultiCam and now we’re going to take a look at my current carrying system. 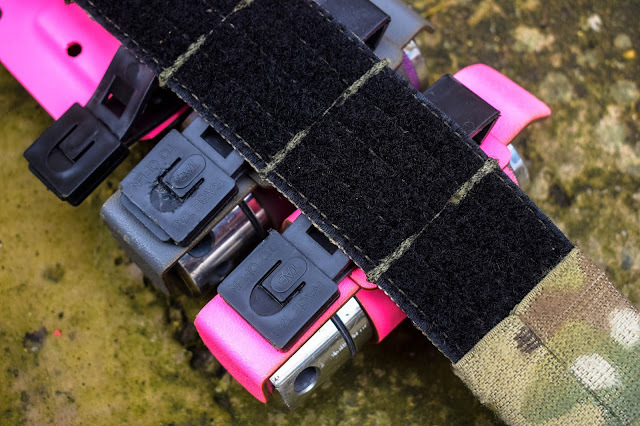 The Kraken Kydex TRMR Carrier is exactly what it says: a Kydex carrying system designed specifically for the TRMR that has a malice clip attachment for use with molle plate carriers and belts. There’s not really much to talk about in terms of features as they are a super simple bit of kit – just moulded thermoplastic with a malice clip but their simplicity means less to go wrong. One of the main selling points of Kydex carriers is that they are really lightweight so are perfect for low drag and slick loadouts. As the TRMR is quite a heavy bit of kit, having a lightweight holster is definitely a plus. Attaching the carrier to your battle belt or rig is super simple - as a new piece of kit you just thread the malice clip through the molle and secure the clip at the bottom, if you are rearranging it or transferring it to another bit of kit I’ve found the easiest way to undo the clip if you have long nails is by using a flathead screwdriver (but as you can see from the images you have to be careful whilst doing this or you run the risk of scratching the clip, this can be seen on the grey holster). Once it is attached the operation does take a little getting used to but once you get the hang of it, it does offer quick deployment. As it has a moulded back piece with a lip I found the best way to deploy it quickly is to push the TRMR base up and it will slide out. On the way back in, the best method I found was to have the TRMR at a 45-degree angle against the back of the TRMR and push down. They retail for £19.99 from JD Airsoft and they are available on their website here and also in store. 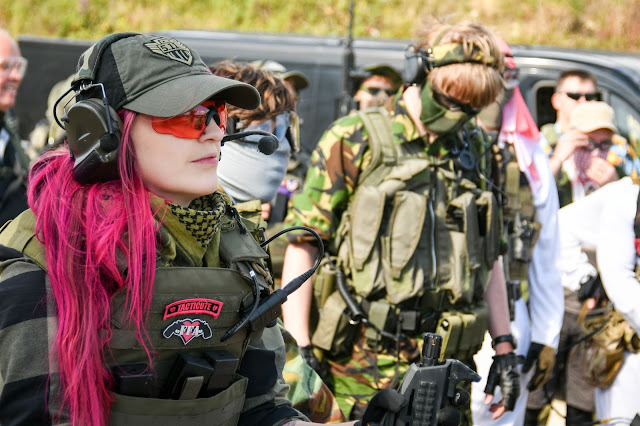 I was very aptly sent the pink and grey carriers which go with my Femme Fatale loadout, at present they’re made in Coyote, MultiCam and Black. They also hold other 40mm grenades such as Enola Gaye Flashbangs and Smoke Grenades so they can still be used if you play mostly woodland and don’t use a TRMR. There are definitely much cheaper pouches and carrying systems out there but I like the look of them, and how they operate. Patrons: Oskar Engstom & James Smith.